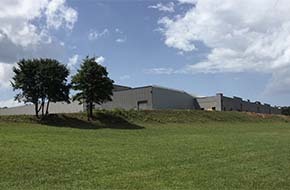 Vesco Toyotalift of Hickory, North Carolina has consistently been one of the highest rated dealers in customer satisfaction in the material handling industry. Vesco is one of only a handful of Toyota forklift dealers nationwide to earn the Toyota Quality Award. In fact, we've won it twice. Vesco has been awarded the Toyota Service Excellence award for over 18 consecutive years! More than another other dealer in the nation. We pride ourselves on customer service and value of service. To represent only manufacturers of high quality and related equipment. To challenge our associates, to train and to prove our customers with a level of satisfaction unmatched in our industry. To lead the industry in associate training which delivers real value to our loyal customers. To develop long-term partnerships with customers located or headquartered in western North Carolina. In short, we will do WHATEVER IT TAKES, in an ethical and professional manner to assure that our customers meet their objectives.